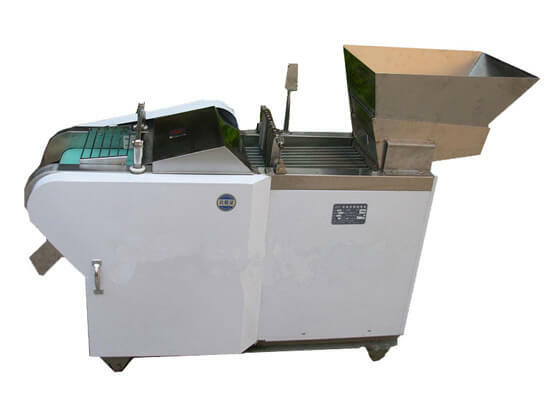 Directional vegetable cutting machine is designed by simulating hand-chopping principle with extra forced orientation device; it is the special multifunctional equipment for some vegetables (especially round vegetables), fried food which needs directional cutting, as well as a certain hard paste to slices, dices, shreds, curves. It can cut vegetable exactly and perfectly. 1. This machine adopts the intermittent inorganic adjusting mechanism, eccentric vibration mechanism and reciprocating movement mechanism and other advanced technology. 2. With three level variables, it can meet the requirements of 1-30mm cutting. 3. If you cut potato, sweet potato, the pumpkin into cubes, blocks and rectangular shape. 4. High efficiency, easy to maintain. 5. Applied with our strip cutting machine leads better cutting quality. 5. Organization in good condition, keep the manual cutting effect. 1. 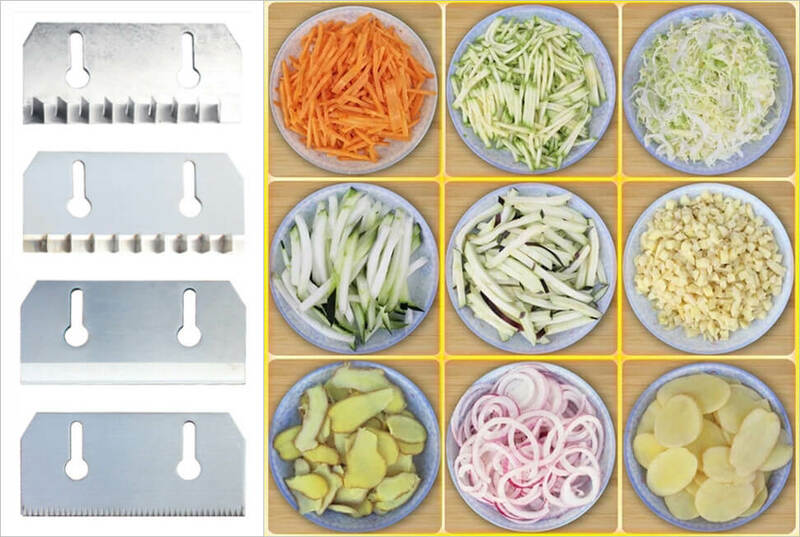 It is more suitable for cut these products into slices, shreds, blocks and other shapes, such as potato, sweet potato, pumpkin, shallot, cooked meat, fried food, etc. 2. It is widely used in restaurant, vegetable processing plant, refectory, and other food processing industry. 1. Please wash the vegetables when using the directional vegetable cutting machine, in order to avoid vegetables mixed with foreign matters, damaging the tool parts. 2. Please keep the gap between chip knife blade and dial trays 0.5-1mm, or it will affect the chopping quality.